From the Pages of Mouse Guard, Swords & Strongholds: A Game of Mouse Strategy by Luke Crane and David Petersen. Win this two-player game by planning your strategy, playing your cards and either capturing all four of your opponent's pawns or by building a stronghold in either of her back corners. Games take 15-30 minutes and are for ages 8 and up. 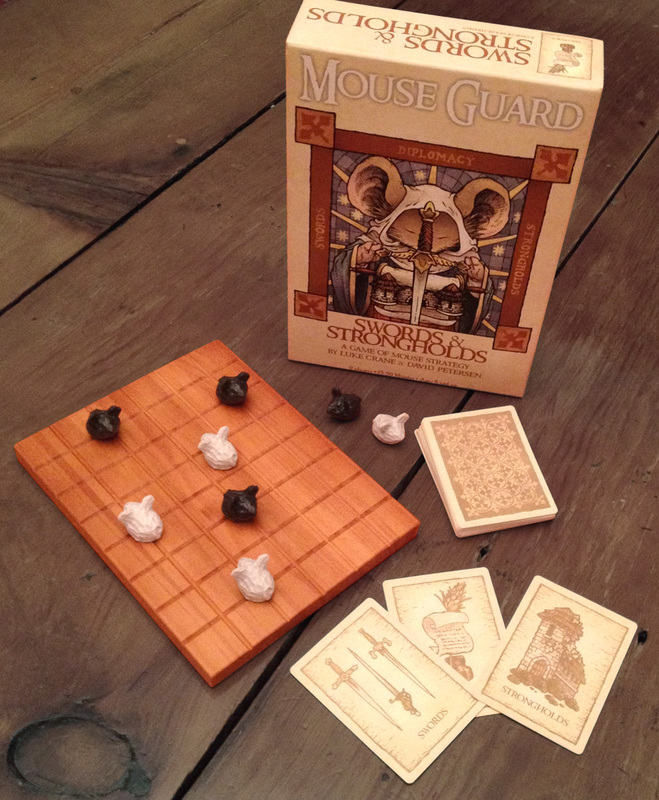 The box includes a wooden board, 8 mouse Pawns, 30 cards and 1 rules sheet. The game also makes an excellent prop for the Mouse Guard RPG.